October 19th – 23rd no Volunteers or Visitors are allowed in the building until after 11:00 am due to the ITBS Test. We enjoyed hosting our Volunteer Breakfast on Friday, October 16, as our expression of gratitude for all of our volunteers. 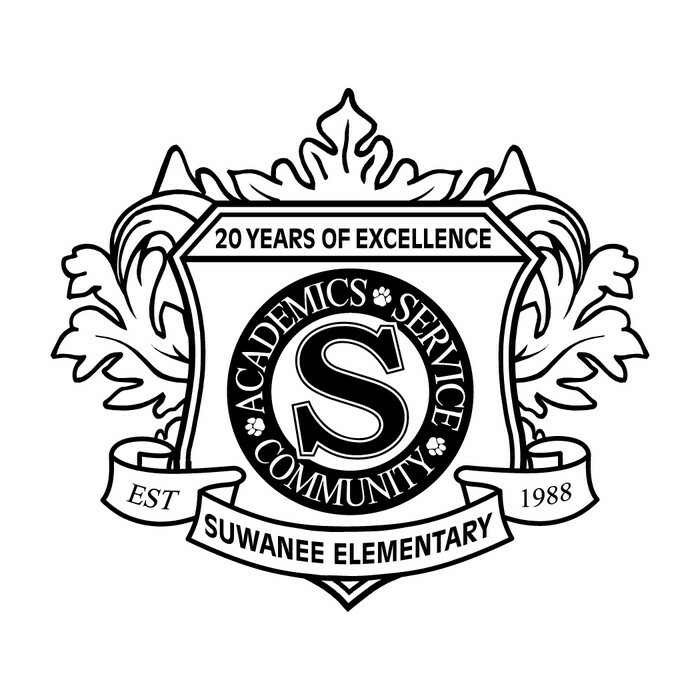 Whether you spend time in our classrooms, media center, or preparing materials at home for events we have at school, we appreciate the gift of time, talent, and resources that you share with us at Suwanee Elementary. 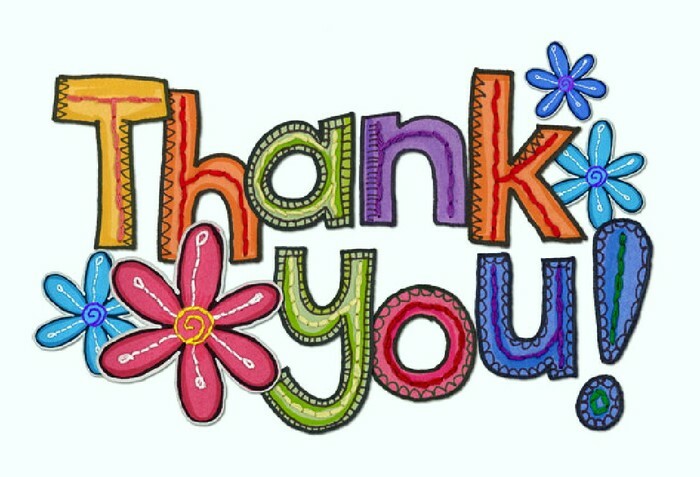 Thank you for being a part of our school community! This survey should take 10 minutes or less to complete. 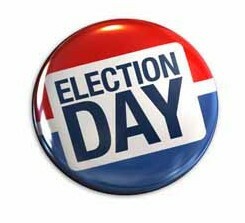 Its purpose is to gather feedback from parents/guardians about the quality of education that each school is providing. Your name will not be used and your answers will remain confidential. 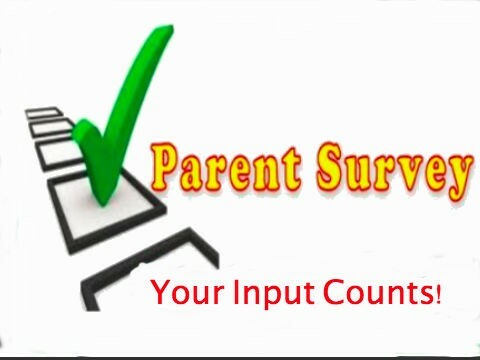 Results are averaged across all parent/guardian responses. These results are used to provide feedback to schools about their performance. Our third focus group of the year is coming up soon. 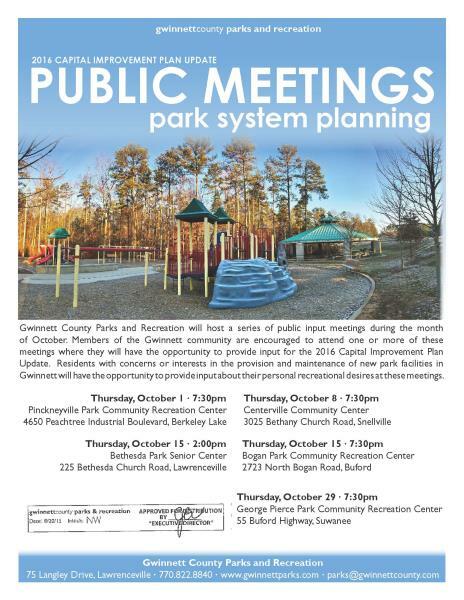 All are encouraged to attend these meetings. 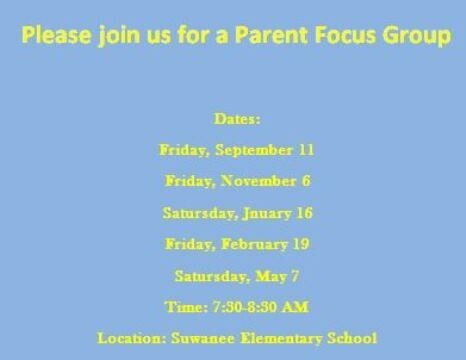 Ms. Keag hosts these regular meetings for parents to share what we are doing well as a school, any barriers to excellence, and any ideas that would help our school community. In our first and second meetings, the topics discussed included school wide communication, cafeteria expectations for students, and other topics suggested by those in attendance. 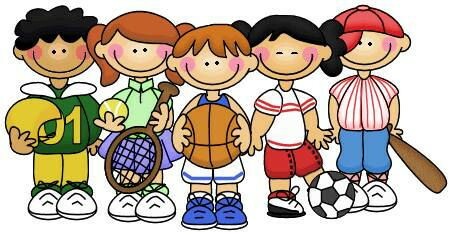 Childcare is available at our school for the November meeting. Ms. Keag is looking forward to meeting with you and listening to your ideas in November. The Atlanta Falcons will play host to the Minnesota Vikings on Sunday, Nov. 29 at the Georgia Dome. Kickoff is set for 1 p.m. Tickets are $40 for upper level seats (Regularly $55). 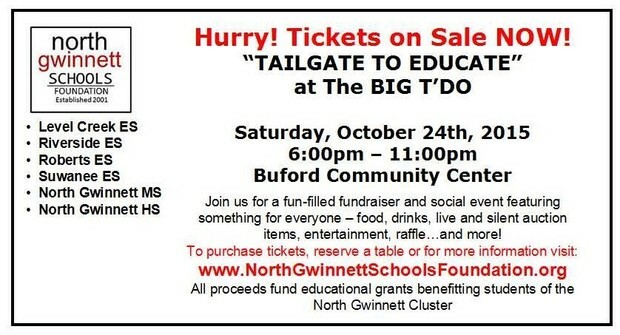 $5 from every ticket sold will benefit Suwanee Elementary's PTA. 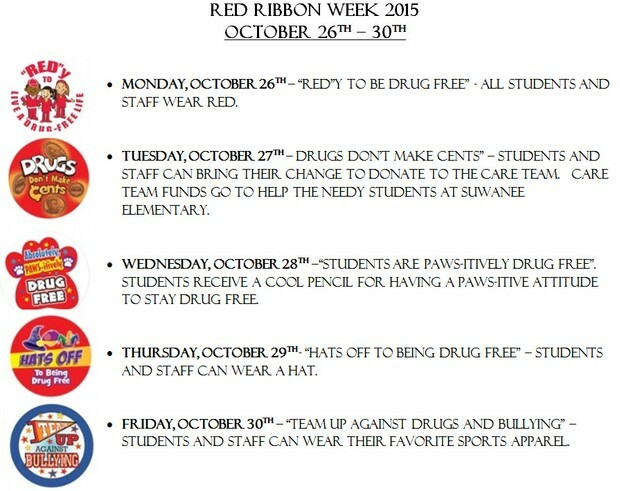 Please return the bottom portion of the attached order form to your child's teacher no later than Wednesday, Oct. 21. Orders will be filled by the Atlanta Falcons on a first-come-first-served basis. In the event tickets are no longer available when the ticket order is received by the Falcons, a refund will be issued. Don't miss the Wed., Oct. 21 order deadline. 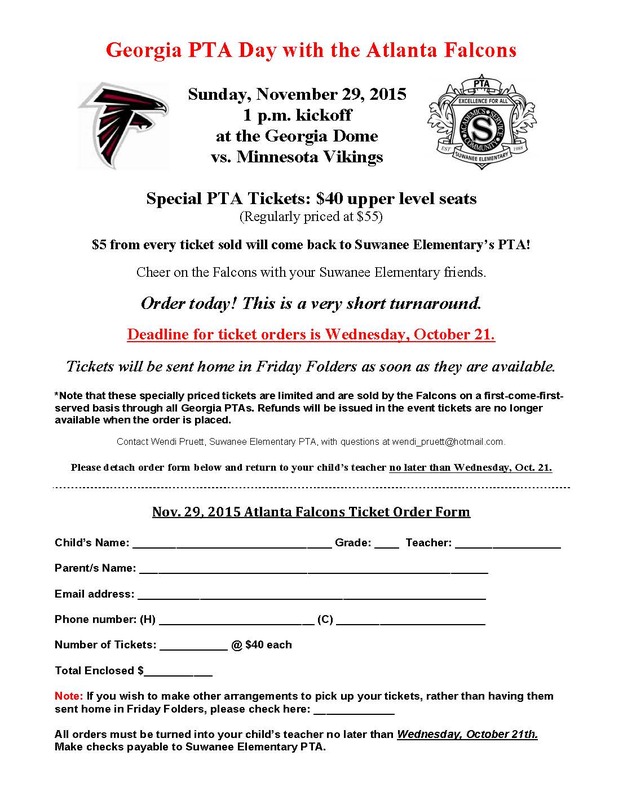 Return your order today and cheer on the Falcons with your Suwanee Elementary friends! 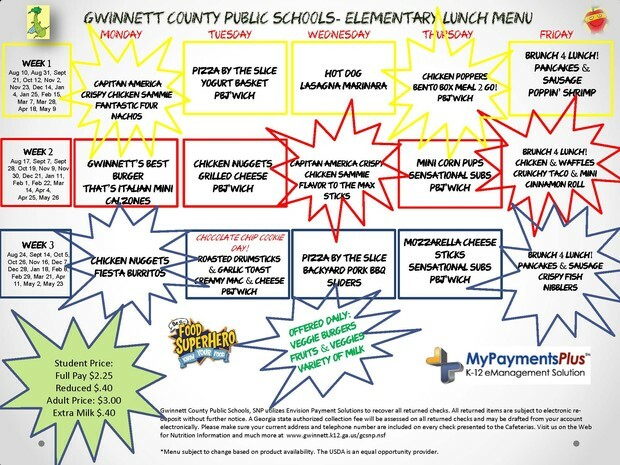 Beginning Week 3, October 26, 2015 - October 30, 2015 our lunch menu will change! According to Karen Hallford, MS RD in our SNP Department at Central Office, we've experienced a decline in lunch participation among Elementary and High School Students district wide. 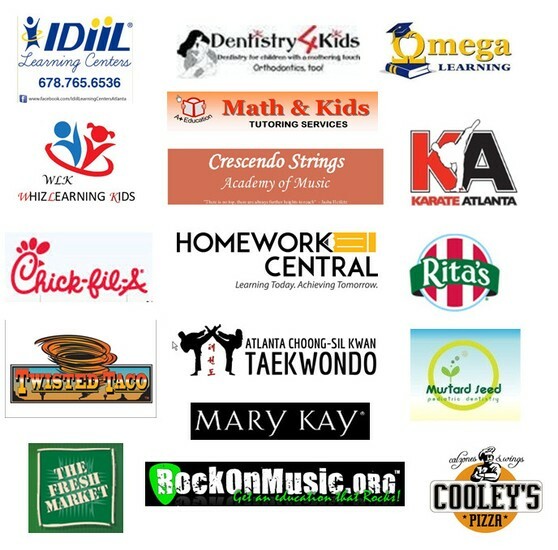 In an attempt to increase participation, our menu will feature only the top 20 most popular items among our students. Our menu will remain in three week rotation. However, rather than offering 5 different entree choices, there will only be 2 plus a vegetarian entree. 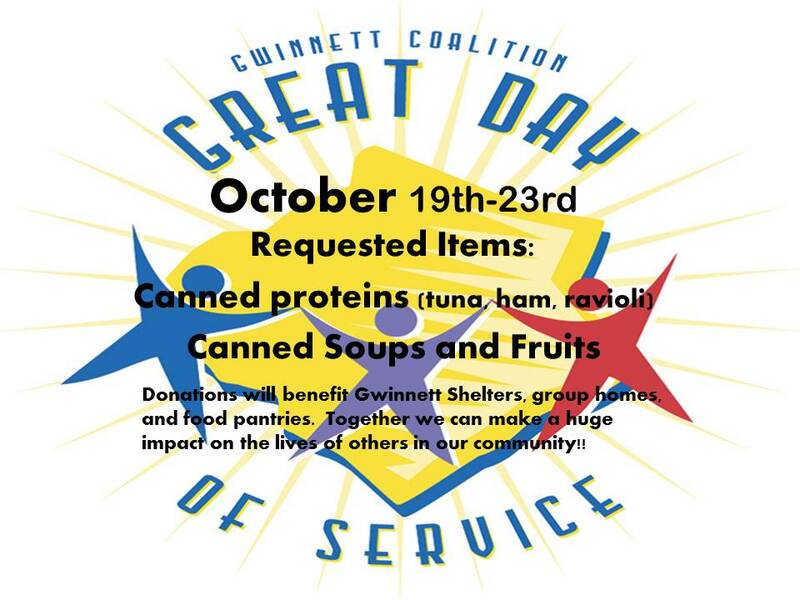 Peanut Butter and Jelly will only be offered 2 days per week, Tuesdays and Thursdays as opposed to everyday. Published menus aren't quite ready. 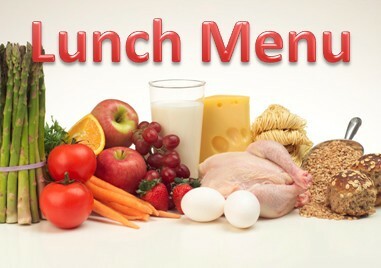 As soon as I receive the new menus, they will be posted on our website. 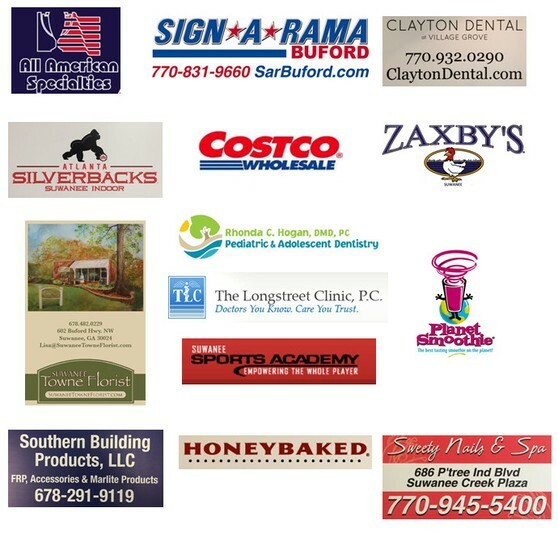 We enjoy having you at Suwanee to dine with your child for lunch. Visitors and their student(s) are to sit at the designated "Visitor's Table". Any students, other than your child, may not be invited to join you at the visitor's table as they must remain with their class. 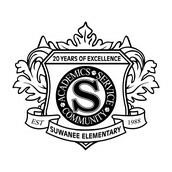 You will need to come to the school, Suwanee Elementary School, complete the Portal Form, and show proper ID. Don’t forget to pay your child’s Field Trip Fee. please have them check our Lost and Found TODAY. All schools have a safety and security plans. The plans are designed with the help of school security and support staff members, as well as local law enforcement, emergency management, and public health officials. 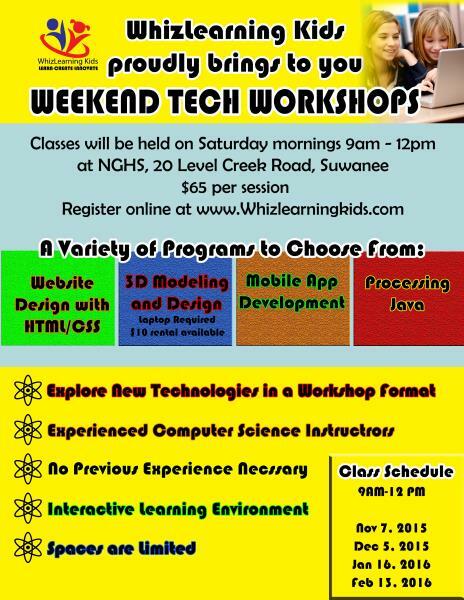 Plans are reviewed and updated regularly. These plans include procedures to respond to critical incidents such as tornados, medical emergencies and criminal acts. All staff members are trained on all procedures as it relates to how to handle issues related to safety and security. 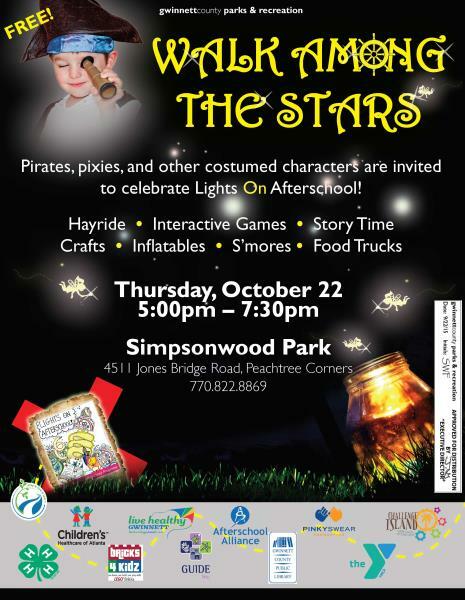 Friends of Suwanee: Parent or Individual donations of a minimum of $100. 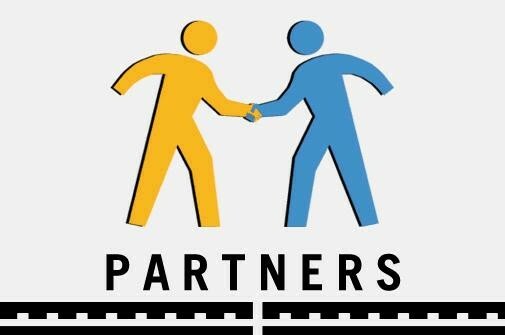 Project recognition if project is paid for completely by sponsorship dollars.